The workshop to make a start on this year's Christmas Window at Can Do Books was held yesterday. 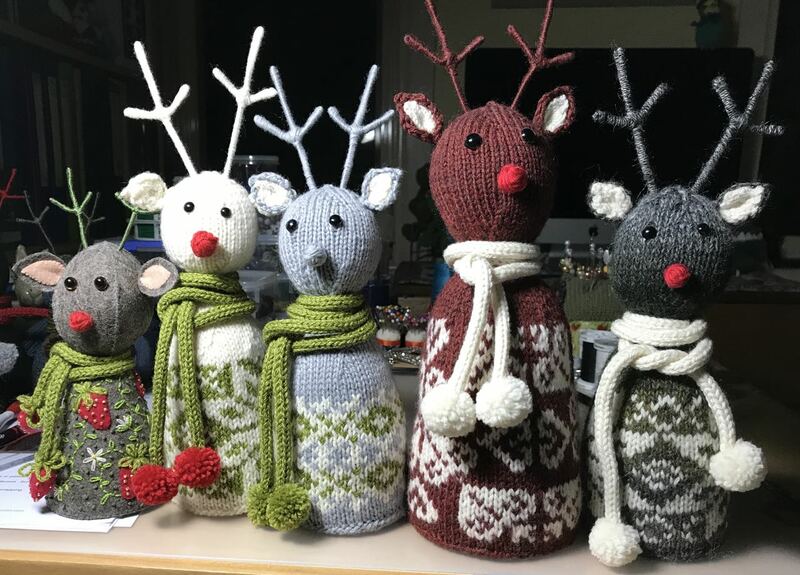 This year we are making reindeer. 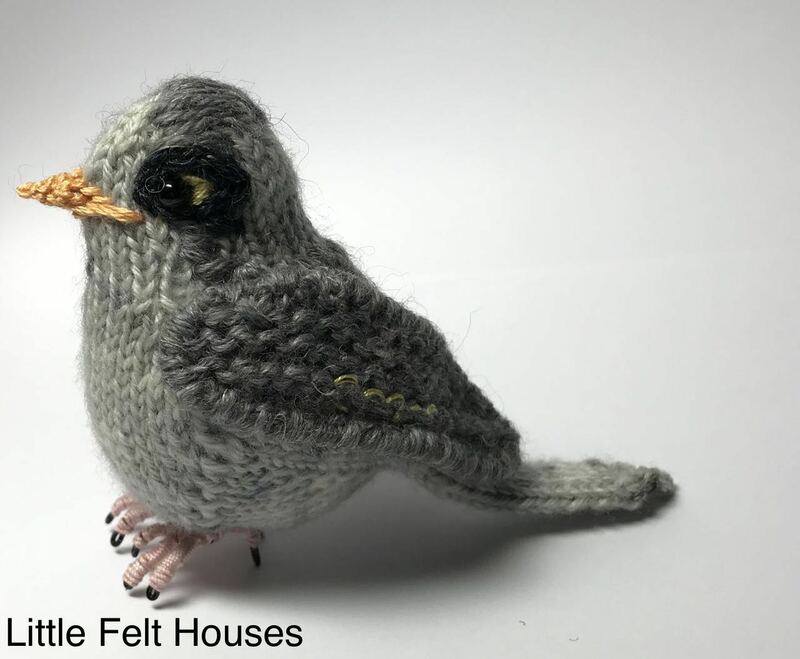 That is where all those knitted fair isle panels have been going. 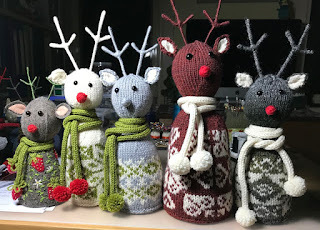 There will be follow-up Sit & Stitch workshops for the reindeer on the first Saturday of each month 11am till 12.30, November 4th being the last. If you would like to make a reindeer, come along to a workshop, there are patterns and kits. 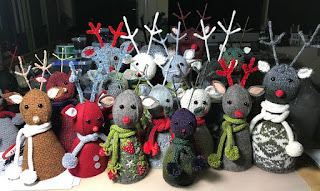 There are knitted, crocheted and felt (sewn) versions of the little reindeer.